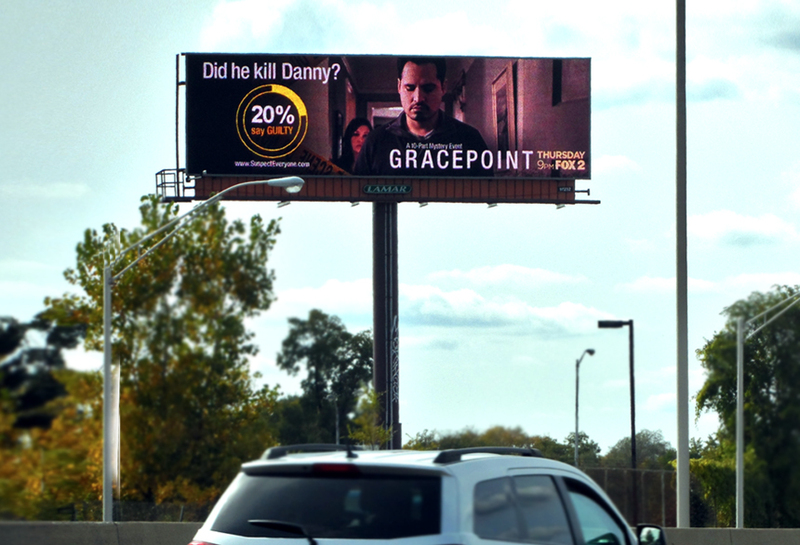 Gracepoint utilized Lamar's digital capabilities in Detroit by allowing viewers to vote on who they thought was guilty while the show was airing. Results were streamed to the digital billboards, in real time, as the votes came in. This was a great way to not only reach thousands of consumers with out-of-home, but also drive interaction and social chatter with the show's audience.